The Order: 1886 is out this Friday, and it has been somewhat bogged down by all this talk about how long the game really is, and whether or not it’s really worth the asking price. We’re not talking about that here though. Instead, let’s just focus on how drop-dead gorgeous The Order looks – and how games in the future are going to surpass it by leaps and bounds. That’s according to Ready at Dawn CEO Ru Weerasuriya, with The Order just setting the benchmark for new titles to completely shatter. In fact, he knows of a few titles in development currently that will outclass The Order visually already. Weerasuriya isn’t deaf to the voices that claim The Order is little more than a pretty face, and understands where that perception could come from. He doesn’t however, believe that good gameplay has to be complemented by sub-par visuals, and that even the best looking titles can often play the best as well. He also refuted claims that The Order was heavily QTE focused, saying that they were sparse throughout the game’s campaign. “As a matter of fact, [QTEs are] sparse. I think people actually automatically assumed it was that kind of game maybe because of the way it looks. I’ve been told before that people looked at the game, looked at the visuals, and just said, ‘Oh well, it’s kind of like those games that are just QTE games. They look pretty but you just push a button once in a [while]’. I got my hands on The Order for the first time at rAge last year, and was pleasantly surprised at some of the ways the game toyed with familiar mechanics. The Thermite Gun, for example, had me peppering enemies with ignitable dust before I fired a flare into them. It was a slight variation on the traditional way shooters operate, and it immediately made the game feel different. The game is also absolutely stunning in person, so if Ready at Dawn are confident that they’ll be trumped soon, I can’t wait to see what’s in store for the rest of this generation. 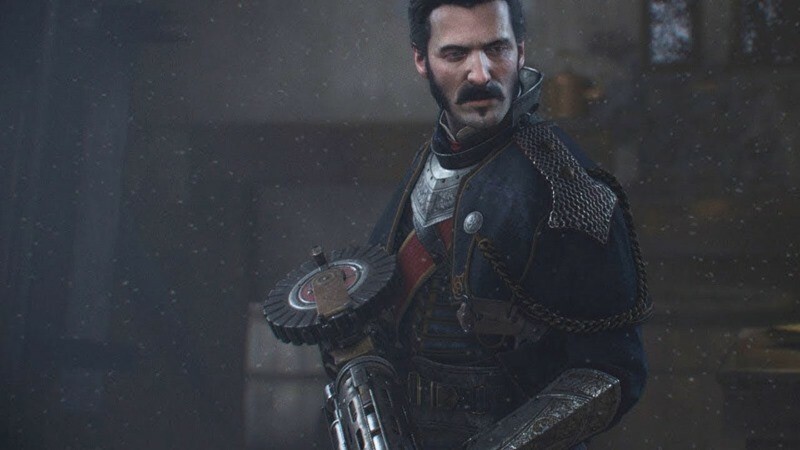 The Order: 1886 is out this Friday exclusively on PlayStation 4. .